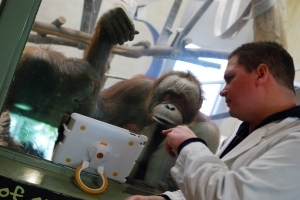 Orangutans’ And iPads. A New Frontier? ‘The devices have been a great addition to the enrichment programs Jungle Island already does with the orangutans, Jacobs said. Keepers have long used sign language to communicate with them. Using their hands, the orangutans can respond to simple questions, identify objects and express their wants or needs. The apes can also identify body parts, helping the trainers care for them and even give them shots. One of the great limitations of animal-human communication has the the animals’ lack of speech. Unfortunately the more intelligent species (monkeys, dolphins, etc.) just don’t have the voice ability humans have. Now technology is changing all that. Researchers are already using iPads to communicate with orangutans with amazing results. I suggest that this is just the beginning. With new software and more animal-friendly hardware it’s just a matter of time before we all are using touch pad devices to communicate not just with higher primates but also with our pet dogs and cats. 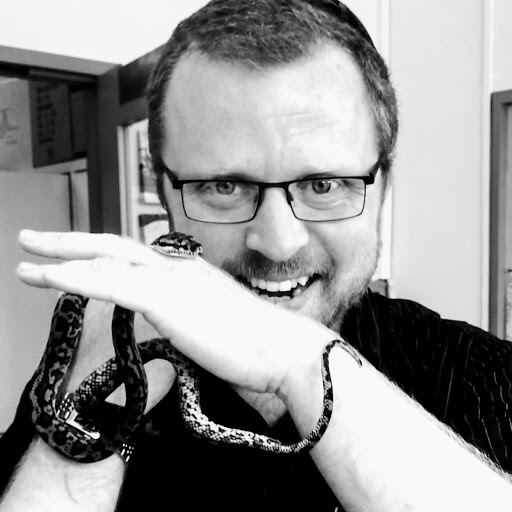 On a related subject – any software developers out there wanting to pair up with a Veterinarian for a start up?